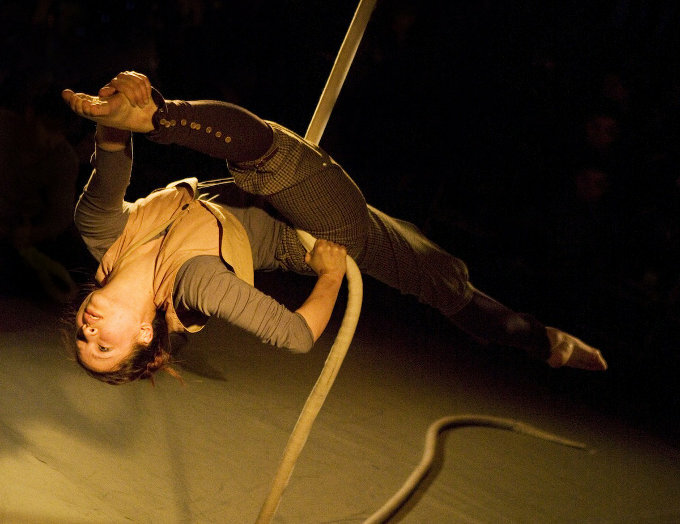 First seen as part of the Roundhouse's CircusFest in 2012, Square Peg's Rime has been substantially reworked for this year's spring/summer tour. Sometimes performed indoors, sometimes out, the piece is an ensemble work inspired by Coleridge's 'The Rime of the Ancient Mariner'. Promo video (taken from some older performances) here.